'Congo Does Not Take Any Orders From Anybody': Interview With President Joseph Kabila Joseph Kabila is barred from seeking a third consecutive term as president of Congo, where elections are scheduled later this month. But he doesn't rule out running again in the future. Joseph Kabila, the outgoing president of the Democratic Republic of the Congo, sits in a garden at his personal ranch on Monday. Democratic Republic of the Congo is set to hold long-awaited elections on Dec. 23, despite a fire that has destroyed many of the voting machines and materials meant for the capital Kinshasa. A presidential adviser blamed Thursday's fire on criminals. The head of the election commission said the equipment will be replaced by surplus materials in other parts of the country and the vote will continue on schedule. Despite concerns over the vote, Congo's outgoing President Joseph Kabila said earlier this week that his country will hold "perfect elections." Kabila, who has held power for almost 18 years, is not allowed to run for a third consecutive term. But in an interview, he suggested he will not rule out running again in the future. For two days this week, Kabila took questions from NPR and other foreign journalists in a rare, wide-ranging encounter — first at the presidential palace in Kinshasa and then at his private ranch. Although just an hour and a half's drive from Kinshasa, the rolling hills and serenity of the home and ranch feel far from all the pre-election hubbub in the capital. 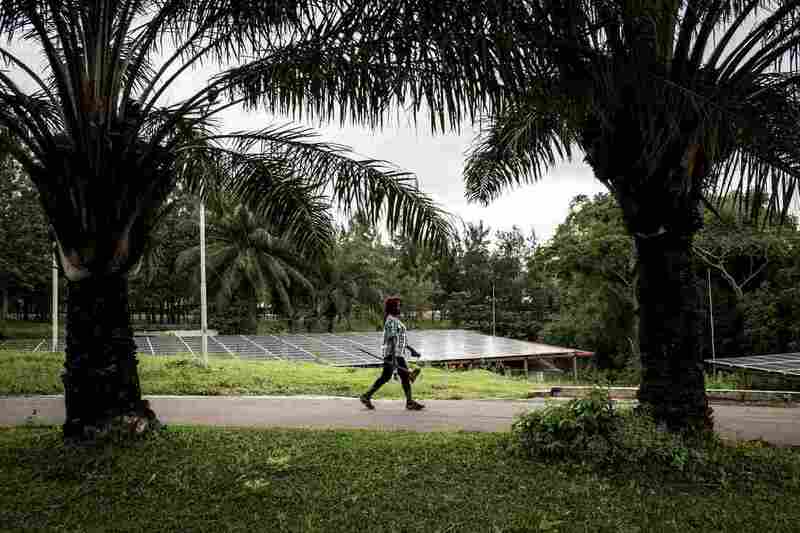 Kabila's country residence — nestled in a sprawling private park he established — is his preferred setting. Under the constitution, Kabila's two-term presidency was supposed to end in 2016. His political opponents accuse the now gray-goateed leader of overstaying his welcome, and of using his security forces to violently repress protesters who demanded his departure two years ago. Remaining as a contested caretaker president fueled feverish speculation that he might plot to tweak the constitution and seek a third consecutive term. "Will he stand, won't he stand? We stated way back, some 10 years ago, that the constitution was going to be respected. And that's effectively what has been done," Kabila told NPR. Congo's President Joseph Kabila at his farm outside the capital Kinshasa. He explained the two-year election delay was because his government needed to prioritize dampening a rebellion in eastern Congo and other pockets of violence, which took time and resources. Insecurity and chronic instability have plagued Congo for years. Only after that, he said, could they shift focus to the huge task of voting for a new president of the Democratic Republic of the Congo, a vast country of more than 80 million the size of Western Europe, brimming with natural resources. Congo is the world's top producer of cobalt, an essential ingredient in many electronic devices, and it mines other metals including coltan and tantalum. Competition for control over those riches has prolonged conflicts in parts of the country. 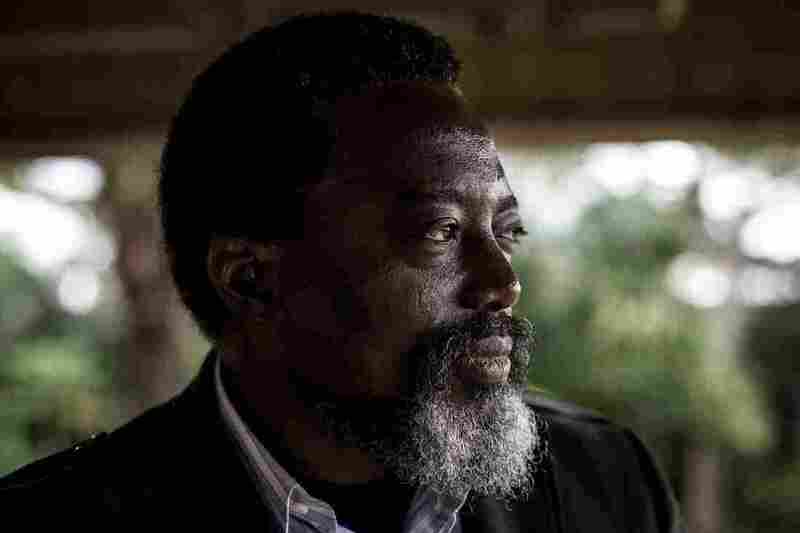 Former rebel commander Joseph Kabila was propelled into the presidency in 2001, at age 29, after his father President Laurent-Désiré Kabila's assassination. Now, he says his priority is to hold a peaceful, violence-free vote and set his country on a solid democratic path. "I've always wanted these elections to be perfect elections. 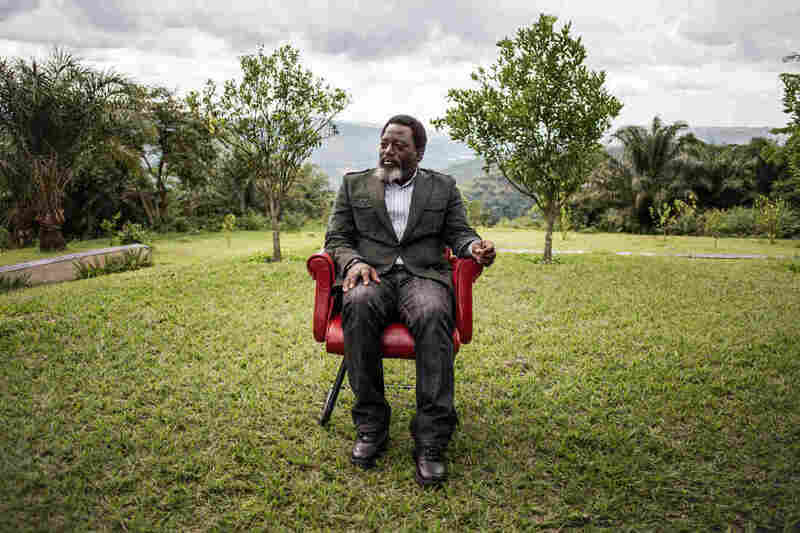 And I don't use that word lightly," Kabila told NPR. "We want them to be perfect — meaning before the elections, during the campaign — and especially after the elections when the results are announced." Two previous disputed ballots in Congo, held under Kabila's watch in 2006 and in 2011, were marred by post-election violence. He says he wants to guarantee a smooth, credible and peaceful single-round vote on Dec. 23. And he promises to hand over power to his elected successor. That would be uncharted territory for Congo, which has never had a peaceful transfer of power since independence from Belgium in 1960. Emmanuel Ramazani Shadary in the Notre-Dame Du Congo Cathedral in Kinshasa last month, during the launch of his electoral campaign. He is President Kabila's favored candidate to succeed him. Kabila hand-picked his governing coalition's presidential candidate, former Interior Minister Emmanuel Ramazani Shadary. Shadary is under European Union sanctions, accused of being responsible, as minister, for the deadly crackdown on demonstrators opposed to electoral delays. 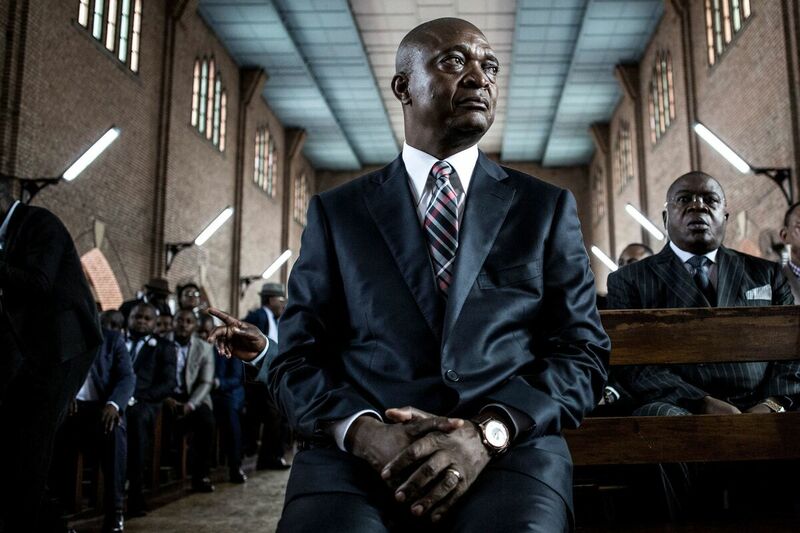 Many Congolese wonder whether the choice of Shadary might enable Kabila to continue governing in the wings, if his chosen successor wins the election, and retain control of Congo's lucrative state-owned mining enterprises. Kabila claims that is not his intention, though he hopes to remain active, giving advice if he's asked. As Kabila assessed his time in office, he was a little vague about his plans. Might he might run for office again in the future, as Congo's constitution allows? "I said in life, you don't rule out anything. Be it in life, be it in politics. So I don't rule out going to the moon," he said laughing. "I won't rule that out. I'm not going to rule out any other option." Such statements have made tongues wag. Is Kabila planning a comeback in the 2023 elections? "The doors are open," he told journalists, "if you have ideas and a vision." Asked to consider the high and low points of his leadership, he said he had brought peace and unity to Congo. "We have shortcomings. I don't call them failures, because we still have time to correct, to do much more, much better. We will always have time as citizens, private, or otherwise," he said. Responding to his critics, Kabila dismissed what he says are wild allegations of corruption and self-enrichment circulating about his family's apparent wealth — spanning mining, property and businesses. But since he arrived in Kinshasa with his late father — who ousted long-term President Mobutu Sese in 1997 after leading a rebellion in then Zaire — he appears to have made money. Asked by NPR if he is a wealthy man, he said, "I don't know what a wealthy man means." The Congolese should be the primary investors in their own country. He added that when visitors of his frequently ask him that question, he responds: "I believe that the Congolese should be the primary investors in their own country. When we talk about foreign investment and the like, and the Congolese themselves don't come and invest in their own country, it's not correct. And we show that by example — not just words, but deeds." Pressed by a BBC journalist to respond to specific corruption allegations, and an investigation, the outgoing president said those who claim his family has grown rich on Congo's natural wealth should prove it. "I believe that people who write those reports live on another planet, which is not this planet. Feel free to give me the names of those family members and those [mining] permits. They don't exist," Kabila said. When it was put to him that his wife, children and siblings are among those alleged to have mining permits, Kabila asked, "Do you know how old my children are in order for them to have mining rights? That's where stupidity begins. Allow me to use the word. I hope that one of these days someone will come up with something that is tangible, instead of allegations left and right." Switching to relations with the United States, Congo's outgoing leader said he hadn't yet met President Trump, but told NPR that Kinshasa and Washington have good diplomatic ties and that Congo now has a new American ambassador, after a gap of about two years, who has yet to present his credentials. A cleaning employee walks along a road inside the Congolese president's personal ranch. Kabila said the two countries cooperate constantly. "The truth is that we have been working with the American administration — and there is an exchange of information on threats in general terms," Kabila said. He gave a recent example of when the U.S. Embassy closed for a week, citing a possible "terrorist threat" against U.S. government facilities in Kinshasa. Kabila explained that the threat came from the Allied Democratic Forces, an Islamist group of Ugandan origin, which his government has "stated is a terrorist organization," he said. "The threats are definitely credible and we are taking them very, very seriously; seriously in the sense that we are fighting the ADF and are taking casualties each and every day," he said. "You are also aware that our population has also been targeted, and is being targeted, by this terrorist organization. We will deal with it." Turning to global affairs, Kabila says Congo is willing to work with all its international partners — from the U.S. to China — but no one should think they can dictate to his country. Congo faces regular criticism by Western powers, including the Trump administration, and rights groups, for delaying the elections, allegations of human rights violations and much more. Perhaps in a sign of his defiance, Kabila has refused to let election observers from the European Union and the Atlanta-based Carter Center monitor the vote. We know the Congo better than anybody. And we believe that the choices that we make for our people are the best choices. "The Congo does not take any orders from anybody. Advice, yes. And I've been telling all the diplomats based in Kinshasa, and any other visitors we receive: When you come to the Congo, take time to learn and listen, because you might know everything about the U.S., you might know everything about Europe, but the Congo is our country. We know the Congo better than anybody. And we believe that the choices that we make for our people are the best choices." His political opponents disagree. After briefly supporting a single coalition candidate, opposition heavyweights split into two camps backing two separate presidential challengers. Observers say this could divide their vote and hand victory to Kabila's chosen candidate Shadary. Parliamentary and provincial elections are also being held on Dec. 23, a headache in a country with massive infrastructure deficiencies, where deploying voting materials by every means possible — including canoes plying Congo's rivers — to 75,000 voting stations is a logistical challenge. The National Independent Electoral Commission says the process is on course. Yet even before Thursday's fire destroyed voting materials in Kinshasa, outside observers had called attention to problems with the campaign. The head of the United Nations peacekeeping mission in Congo, Leila Zerrougui, issued a statement Wednesday expressing "serious concern over repeated incidents hampering the proper conduct of the electoral campaign." She denounced "some obstacles encountered by opposition candidates to hold public meetings in certain cities around the country." This followed the reported killing Tuesday of two people in Lubumbashi, Kabila's stronghold, in clashes with police at a rally held by opposition presidential candidate Martin Fayulu, who tweeted and spoke to journalists. Zerrougui deplored the loss of life and urged the Congolese authorities "to take all necessary measures to prevent further incidents." Speaking at his ranch before this week's developments, Kabila told journalists his priority was to organize "flawless elections" without any major problems. He said candidates were crisscrossing the country campaigning and, come election day, Congolese will vote freely for their new president.